Call attention to your recent company news. Let the industry know about a new product or service launch, major brand partnership, new executive hire, or expansion of capacity. Announcing these events is often a catalyst for others to happen. The News Booster package puts your announcement in the right place at the right time. 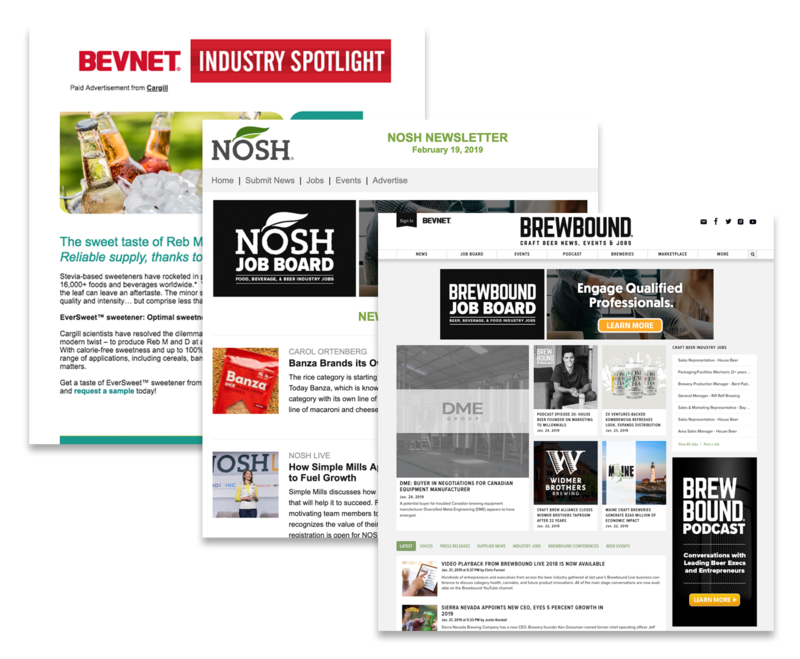 Reach our engaged food, beverage and beer industry audiences before, during and after your milestone to make sure everyone knows your big news. Our News Booster package utilizes a variety of advertising products to amplify the reach of your announcement before, during and/or after the milestone. Based on the level, your package includes a combination of customized eBlasts to thousands of newsletter subscribers, daily newsletter ads, print Magazine ads, and ROS display ads for a constant site presence. Let the industry know about your milestones. We’ll help.